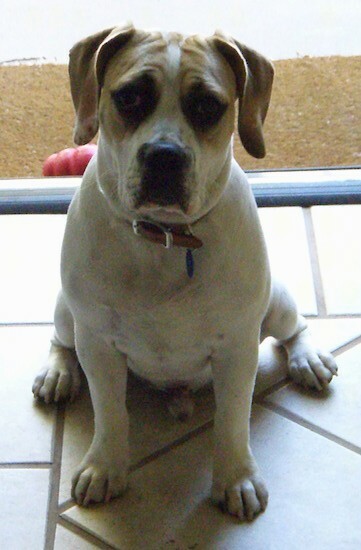 "This is our Beagle/English Bulldog, Diesel. He is the most affectionate dog we have ever met and he loves to cuddle. He hates when we leave and is overjoyed when we get home. 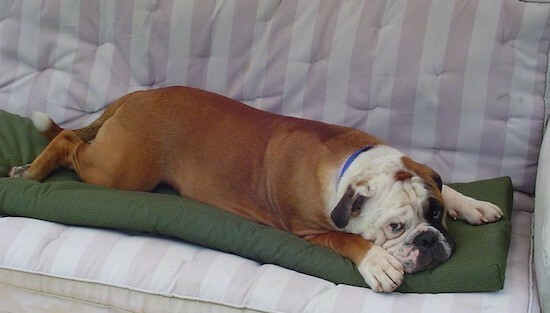 He has a typical “stubby” English Bulldog tail that is too small to “wag” enough for all of his excitement so he usually ends up wagging his entire rear end. Diesel is very excitable and VERY strong for 44 pounds so we’ve learned to not play rough with him and give him plenty of exercise. He can outlast us on a 3 mile jog! Diesel also has an incredible appetite, and will eat everything in sight. We have to temper his meals and portions." 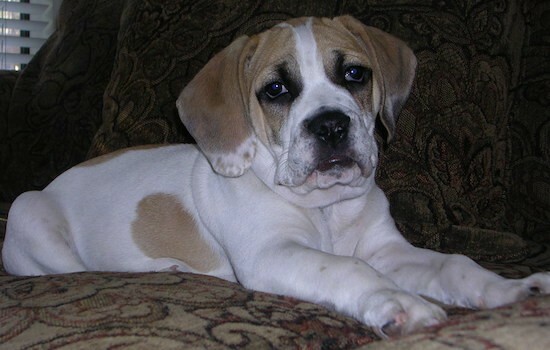 Diesel the English Bulldog / Beagle mix as a puppy. Famous Amos Moses the English Bulldog / American Bulldog mix breed dog at one year old weighing in at 115 lbs. (52 kg).